“FDR” is Jean Edward Smith’s 2007 biography of the thirty-second U.S. president and is the 2008 recipient of the Francis Parkman Prize. Smith taught political science at the University of Toronto for 35 years and at Marshall University for 12 years. His next biography “Bush” will be released July 2016. “FDR” is among the most widely read and beloved of biographies and for good reason. It is meticulously researched, exceedingly well-footnoted, admiring but balanced, and surprisingly facile for a book containing 636 pages of text. The biography begins with an articulate, engaging preface and rarely disappoints during its twenty-six chapters. Smith clearly admires FDR but proves nearly as quick to criticize Roosevelt as to praise him; the strengths and weaknesses of this complicated man are on full display. Early chapters provide interesting background into FDR’s ancestry and a brisk but competent walk through the first two decades of his life. The pace slows and the focus sharpens as Roosevelt begins his political life in the New York State Senate. From this point Smith furnishes greater-than-average detail but the reader is left with the distinct impression this book could have put an additional 100 pages to excellent use. The author offers excellent insight into the women who strongly influenced FDR’s life (including his mother, his wife and his mistress) and provides the reader a sharper account of Herbert Hoover’s “Bonus Army” problem than even Hoover’s own biographers. Smith’s description of the enormous toll of the Great Depression and his coverage of the Japanese preparation for the attack on Pearl Harbor leave a vivid and indelible impression on the reader. For all that is conveyed of Roosevelt and his colleagues, however, comparatively less is disclosed about his six children or his family life (to the extent it even existed). About two-thirds into the book the reader is treated to a robust review of their personalities and whereabouts but, more often than not, the author (like FDR) is focused elsewhere. Smith’s writing style is clear, sober and often captivating. But this is not a highly animated, dramatic narrative in the style exhibited by some biographers. Facts consistently take precedence over scene-setting and readers predisposed to colorful or carefree prose may find this biography occasionally dry. Early in the book the author alludes to the mystery of FDR’s evolution from Hudson River aristocrat to champion of the common man. Unfortunately, this dramatic but improbable transformation is never fully explored. And after carefully documenting the tragedy of FDR’s personal life and the majesty of his political life the book ends just three paragraphs after his death with no conclusion or sweeping review of his legacy. 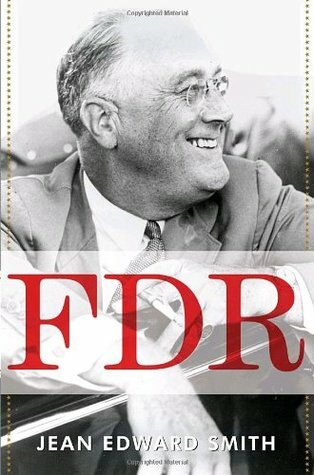 Overall, Jean Edward Smith’s “FDR” is a thorough, engaging and penetrating exploration of the life of this renowned US president. More an intellectual than an emotional biography, this book is well-balanced in tone, thoughtful in content and makes excellent use of every page. Readers seeking a comprehensive but not exhaustive review of FDR’s life will find this biography an excellent choice. Looking forward to reading this. Smith’s book on Grant was excellent. I did not know he had a book on Bush coming out. I am really disappointed by this. I think it is too soon. I fear this will be more about the politics of W. that Smith probably disagrees with. Would have loved to see him tackle the elder Bush. It has been long enough that his presidency is beginning to come into focus. I agree – would be nice if JES had authored a biography of Bush 41 (or even Clinton) rather than the someone out of office so short a period of time. It does seem to be an odd choice given his past work. I believe Meacham’s book probably blocked out the 41 market for a little bit. It would be tough to compete against it. JES actually did author a book regarding Bush 41, though it focused on the first Iraq war rather than being a traditional bio. I really enjoyed his work on John Marshall and Dwight Eisenhower, but I would certainly be more hesitant to read his work on 43. I do think Grant doing a book on W makes some sense, at least in context with others he’s written… Grant and FDR were both wartime presidents, Eisenhower was of course a general, so certainly, W fits that mold. The one advantage to being first… is that… you’re first. However, if you’re looking for a work that focuses on the W. presidency, “Days of Fire” by Peter Baker is outstanding. Interesting parallel in your response to this FDR book (and especially it’s ‘dropped the bio as soon as life ended’ aspect) to your reaction to the Grant bio. I haven’t read anything by Smith, to date, but the prospects just went soaring… Thanks for this whole series. I’m enjoying immensely following along and have appreciated the input (and shared your recommendations) when making selections of my own. That was fast! I finished Smith a few weeks ago and thought it excellent, and had many of the same thoughts you did. One area in which Smith should have delved deeper was FDR’s time in Warm Springs, particularly the lengths to which he went to purchase and actively manage the resort. It wasn’t FDR’s contraction of “polio” (there’s now a line of thought he likely had Guillain-Barre syndrome and not polio) but the time he spent with fellow convalescents as well as the towns people in rural GA that explains so much of his transformation from country squire to man of the people. I read Smith’s book a few months back and, as good as I thought it was overall, I thought Smith’s one major weakness was his handling of FDR’s polio. I think it’s what provides the answer to Steve’s question about FDR’s evolution. Smith argues that it’s been overemphasized in explaining Roosevelt’s political transformation, but this struck me as contradicted by Smith’s own description of how thoroughly it dominated his life. Had Smith come up with an alternate explanation I might have been more convinced, but rebutting the standard interpretation (which Geoffrey Ward makes quite extensively in his own book on FDR) without introducing his own theory to me serves as a point against his argument. I think Smith’s take on FDR’s polio isn’t that it’s been overemphasized, but rather that it isn’t adequate. He wants to combine it with FDR’s time spent recovering in GA and as NY Governor as his thesis for how FDR transformed from “Hudson River Aristocrat” to “champion of the common man,” which Smith says “the riddle” for FDR’s biographers. Having established this thesis though, I thought more time on FDR in Warm Springs was warranted than Smith gives it. I will have to read this volume. I read James MacGregor Burns two volume set back in the 80’s and 90’s but scholarship has advanced since then. I am going to be reading the second of Roger Daniel’s two volume set on FDR sometime soon. I am planning to put the two-volume Daniels set on my follow-up list – I’ll be interested to hear what you think. I was contemplating adding it to my current list but I feared running out of steam on FDR after 18 or 20 bios, and I’m really looking forward to McCullough’s “Truman”! I love your blog! I have been thinking about reading a bio on FDR for ages, but it’s so daunting to know where to start. Your blog really does such a huge service! I am very keen to pick this up. Have you watched the Documentary series on The Roosevelts by Ken Burns, it’s really fantastic. I have watched the Ken Burns series. In fact, I was tempted to watch it just after finishing Teddy Roosevelt but I managed to wait until just after I wrapped up FDR. Then I binge watched the series and really enjoyed it! I have very slooooowly been working on a goal to read a biography of every US president, and I’ve found this blog invaluable in helping me choose which biography (or biographies) to read. I’m amazed that you read multiple biographies of every president! I’m a huge reader, but I can only read so much non-fiction, especially when the writing is dry and just a string of reported facts. I think I’ll finally be finishing up with Hoover in the next few days, so I’m headed to the library now to pick up this book for a good comprehensive look into FDR’s life and presidency, and later I’ll read No Ordinary Time because I love Goodwin’s style of writing history. Thanks for stopping by and good luck as you work your way through the presidents! I hope you found Hoover as interesting as I did (at least before his presidency…) and I’m confident you’ll enjoy FDR. The JES bio and Goodwin’s “No Ordinary Time” were two of my favorites on FDR. If anybody could be of some help to me for introductory beginner biographies on FDR,has anybody read The Roosevelt Presence By Patrick Maney,Franklin Roosevelt by Allan Winkler or any other shorter ones on him they could reccommend for starters?Also for down the road is the one by Jean Edward Smith an easy read and the best longer bio on him? Hi Jon. If you would like a short bio, Alan Brinkley’s 128 page account for the Oxford Shorter Lives series was quite good. Smith’s work is excellently written and one of the best bios I’ve read. It’s the only full length treatment I’ve read so I can’t compare. Would also recommend Geoffrey Ward’s books on him as well. Sorry for the delay in responding but I just noticed you haven’t gotten a response from anyone. Without hesitation, I’ll put in my plug for JES’s biography. 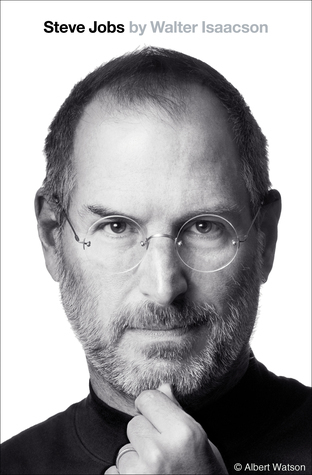 So far he has never let me down (and I think I’ve read three of his biographies so far)…though I understand I may be disappointed by his bio of Bush 43. But as far as FDR goes I thought he wrote the best of the biographies I read and I’ll be surprised if you don’t really enjoy his “FDR” bio. If you do read it, please let me know what you think. I’m always interested to hear what other people think..! For what it’s worth, I’ve read Smith’s book on Bush and enjoyed it. Granted he is very negative towards Bush’s policies and presidency but not so that it reads like a screed or a partisan hit piece. I certainly enjoyed it more than Days of Fire which reads more like a work of reportage than a real biography. Smith’s works on FDR, Eisenhower and John Marshall were all excellent. has anybody read or does anybody have any good reccommendations that mainly cover FDR’s time with polio at Warm Springs?A couple titles I have come across are FDR’s Splendid Deception,The Man He Became and The Squire At Warm Springs.Has anybody read any of those to give a recommendation covering his time a Warm Springs?